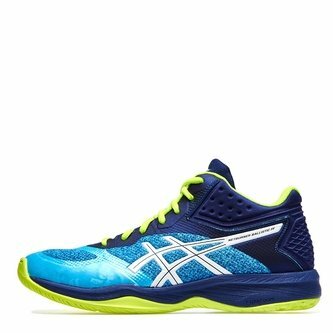 This is another high-performance netball trainer from the Asics range, combines technical features with simple, supportive and cushioning technology. Designed in an aquarium and indigo blue design, this shoe has everything you need to perform at the highest of standards. Added support is included with the higher cut silhouette wrapping the ankle.